Is Utah the Worst State for Women? 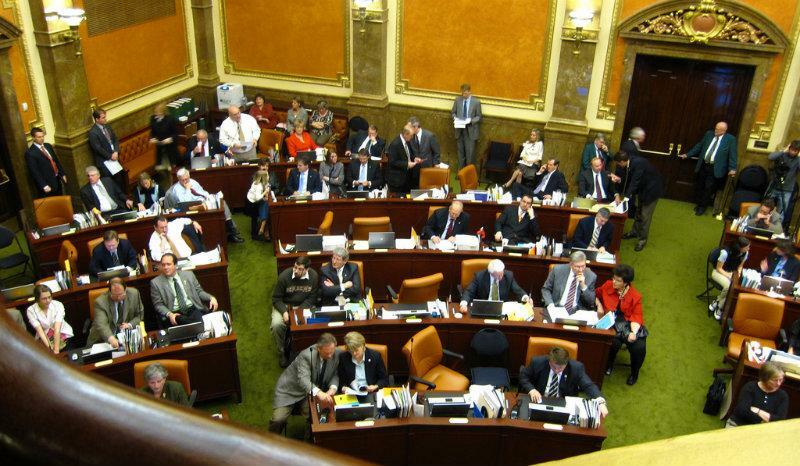 Women make up just over 16-percent of Utah's legislature, less than in all but five states. A study released last week declared Utah the “worst state for women.” According to the business media website 24/7 Wall St., women in Utah earn significantly lower wages than their male counterparts, hold relatively few management positions in business, and make up a very small percentage of our state legislature. Tuesday, we’re assembling a panelist of female guests to discuss whether the study accurately reflects life on the ground for Utah’s women, and we hope to hear from our listeners, too. Read 24/7 Wall St.'s report. Susan Madsen is a professor of management at Utah Valley University, the Orin R. Woodbury Professor of Leadership and Ethics, and the founder and director of the university’s Women & Education Project. Morgan Lyon-Cotti is an associate instructor at the Center for Public Policy and Administration at the University of Utah. She’s also the Local Program Manager at the university’s Hinckley Institute of Politics. Neylan McBaine is the founder of the Mormon Women project and the author of the new book Women at Church. She blogs at NeylanMcBaine.com. Carol Fineagan is CIO at Nelson Laboratories. She's on the advisory board of the Women Tech Council and she's the chair of the Utah Food Bank's board of directors.